I pay attention to my dreams. Often they take me on confusing journeys or I see people I know and then have to figure out what it means. Sometimes the message is very clear, as in a name of a person or place in all caps right in front of me. When disturbing dreams emerge, I really take note of what’s going on. Still sick with a cold, I slept in again on Wednesday. 12 hours of sleep! 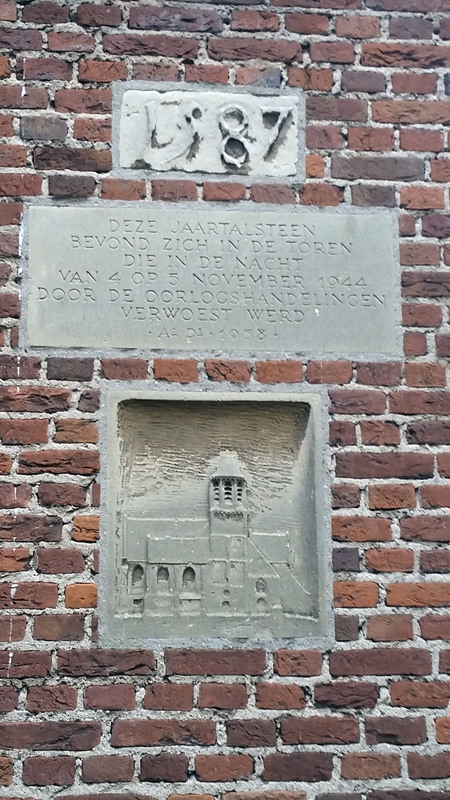 The soldiers let me sleep and didn’t start banging around the B&B until after 9:00 a.m. My original plan for the day was to visit Vught Concentration Camp and see a museum in ‘s-Hertogenbosch. Those plans derailed after a dream I had the night before about WWII and my first European speaking engagement. I took the dream to mean I should avoid the camp and city and do something else. Traveling alone does have its benefits. There is no one to complain you totally rearranged your day. So where did I go instead? 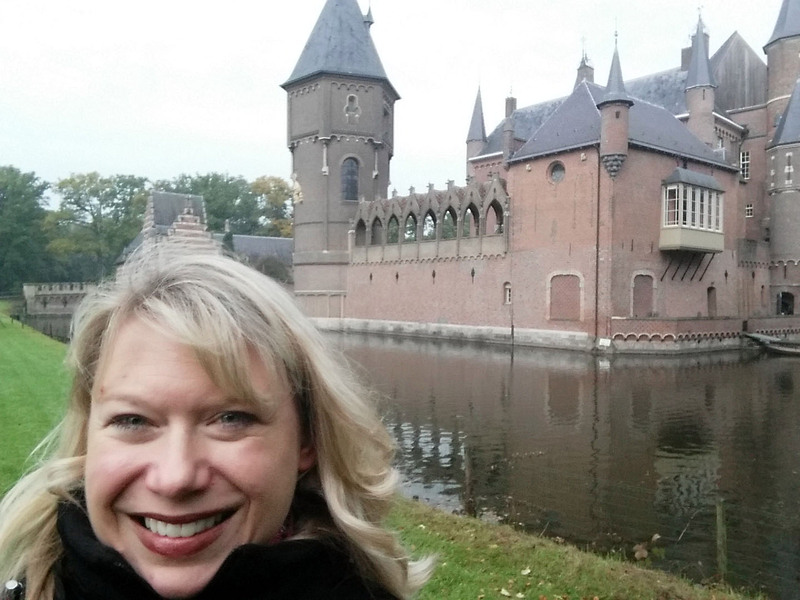 A friend recommended Heeswijk castle after seeing photos of Ammersoyan castle. 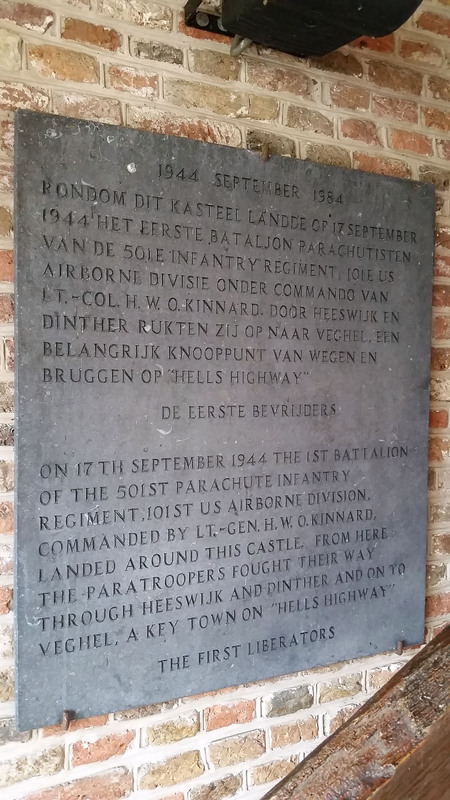 Heeswijk was not far away and it was where the 101st Airborne unexpected landed in September 1944. The castle opened at noon and I thought the website said their restaurant at 11, so I headed in that direction intending to have lunch before the tour. After arriving at the castle I found the restaurant did not serve food until noon but I was able to have coffee and a cookie while I waited for the tour to begin. The office even gave me a copy of the tour and main points about the castle’s history in English. 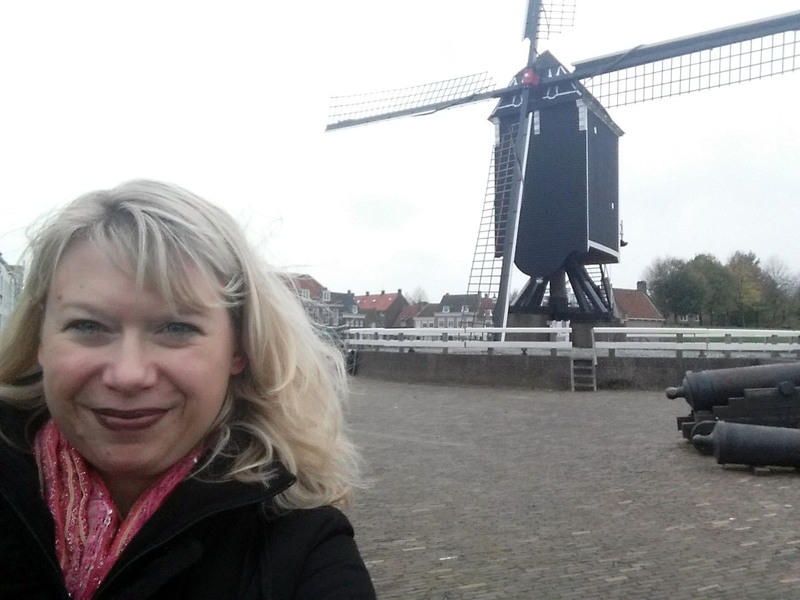 The tour was in Dutch and I was the only English speaking person in attendance. Armed with my history and a lot to look at in each room of the castle, I was good to go! I think every soldier who ever fought and died in the area around the castle, and those attached to the castle from centuries prior, showed up that day. The energy rode in pressure waves through my head off and on. I had such a headache when I was finished with the tour. The castle was built in the 14th century in part. It was added to in the 16th century. No photos were allowed to be taken inside the castle but it was simple and beautiful. Unfortunately much of the original items had been sold off in years prior, but enough was still there to give a visitor an understanding of what the castle had been like in various centuries. One really cool part of the tour, for the historian in me, was the archive room which we entered through a ‘secret door.’ The room contained historical photos, paintings and the family’s genealogy! I really wish I could have taken photographs in that room! Walking through the castle, as the energy ebbed and flowed, the soldiers spoke. They reminded me of things of past lives and spoke of things yet to come. When the tour concluded, I made my way to the restaurant where I had a beautiful and delicious salad with greens, goat cheese, and a variety of nuts. Dark wheat bread and some yummy her dressing/butter accompanied the salad. Adding hot tea, I was set. It was very relaxing and I sat there so long enjoying the beautiful lunch that I saw a bride in her wedding dress walk out to go into the castle to be married. I was grateful, as I assume she was, that the grey skies were not crying. 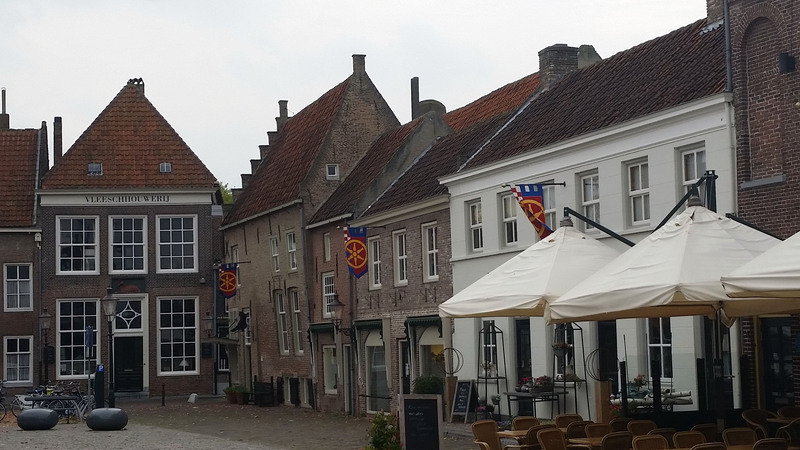 After lunch I drove back toward my B&B and made a stop at the walled village of Heusden. I parked o utside the village walls and walked in through the village gate. The entire place was quiet because not many were out this rainy afternoon. I stopped in the visitor’s center to see what maps or history they offered and watched a video about the history of the village and St. Catherine’s Church were on 5 November 1944, there was a fire which killed 134 civilians. The fire was caused by the Germans blowing up the church where the civilians were taking refuge. I wandered through the village along cobbled streets admiring the old tilted buildings and architecture. It felt as if the medieval version of me was seeking something. I wandered until I felt I had done enough. Later that evening I wrote more about my day. 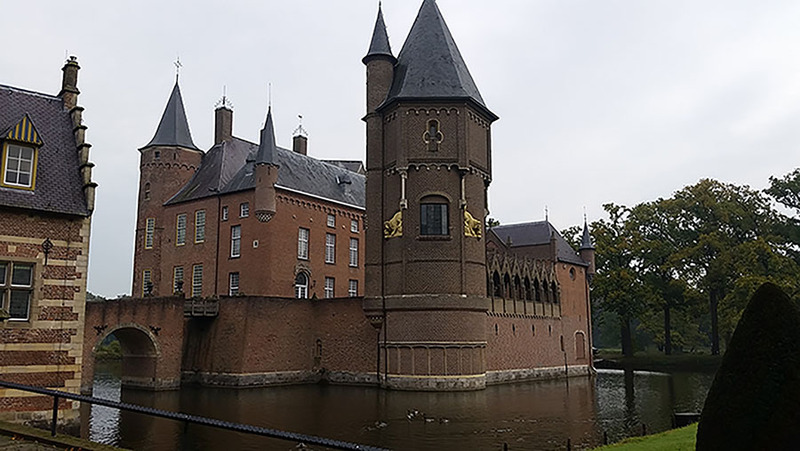 A past life me came through and told me about a place I had lived with someone I loved very much in that time of Heusden and in a similar place.